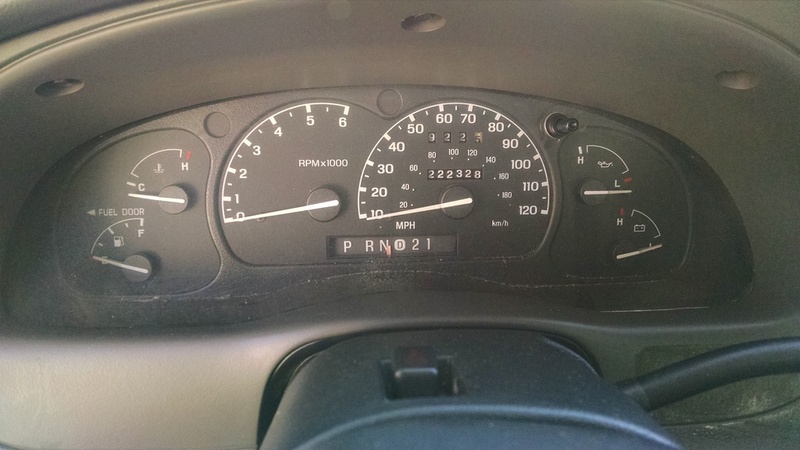 I need a good used gauge cluster for my 2003 Ranger. I borrowed one from a friends' truck and it fixed my problems. But now I have to give it back. Pictured below is the one I borrowed, it is identical to the one I need. Let me know what you want with shipping and to 31907 in Georgia. My truck as 129,000 miles on it. So I would prefer the odometer be around there. A little over is okay, but less would be better. Lots of clusters on eBay,that's where I bought my FX4 black cluster for my truck. I was going to try that after seeing what's here. For me eBay has been a mixed bag. Check their feedback before you buy on eBay.I have bought and sold on eBay since 2003 and only had one issue.You have a purchase guarantee also. That is good advice. Good looking cluster to. Thanks,I didn't care for the factory white cluster with my black truck.